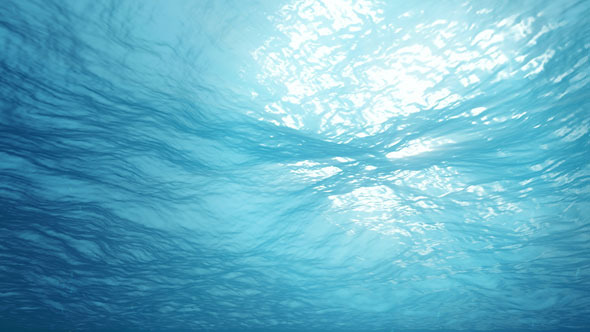 Photorealistic Underwater Scene with Sun Rays shining through the water& 8217;s surface. Used bubbles from Real Shot. View from below. Full HD 1080p.